This years renewals of the Irish Champion Stakes wins in excitement purely on the basis of the renewed clash between Roaring Lion and Saxon Warrior. Both met several times in big races over the last two seasons and it has been interesting to see how each individual progresses differently. One could argue that since the 2017 Racingpost Trophy Roaring Lion has been the more progressive one; certainly since Saxon Warrior landed his own early season target with the 2000 Guineas, Aiden O’Brien’s charge has been playing second fiddle on three occasions behind “The Lion”. The last time, in the Juddmonte International, the gap was at its biggest ever since these two dated each other for the first time. 5 lengths Roaring Lion had to spare that day. Will it be different today? It’s been a long year for both horses now and it probably comes down who’s able to hold his form. On paper Roaring Lion is poised to win another battle today. Ground and track should suit him, and the fact AOB seems to throw the kitchen sink at him reminds me a little bit of 2009 when the same happened taking Sea The Stars on. Regardless, taking prices into account, I find it impossible to back the favourite, even if he is the most exciting horse of 2018 and he’s likely to win today. Odds-on is a no go for me. And this particular race has proven over the last number of years it can be a bit of a minefield for short priced favs. So I settle happily with Ballyoyle’s second string: Rhododendron. Her Lockinge Stakes win earlier this year rates as a superb piece of form and as she has proven in the past to stay 10 furlongs she would be a much shorter price if not for an abysmal run of form. I bank on her to find back to her best today, for the simple fact the AOB yard wasn’t right for some time this summer and her runs were simply too bad to be true. The setup of the race today could suit her well. In saying that, she has to find with the two market principles, of course. But then, she is a massive price, and on her best form she should be half of the odds available today. 4th October 2009. A day ingrained in memory. For ever. The day perfection in equine form became real. The day Sea The Stars wrote history. I was still living in Germany. Following the 2009 Prix de l’Arc de Triomphe on my computer with the help of an almost colourless 240p internet stream. It didn’t matter. What mattered was the race. And the horse with the guy in the yellow silks riding. It was my first full season following the sport of horse racing. Couldn’t have been a better year to get into it, right? 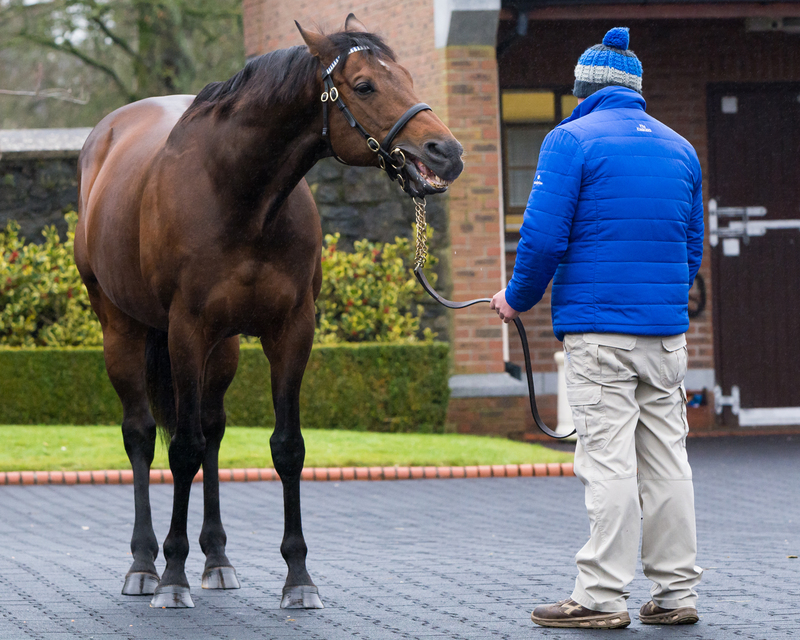 Following Sea The Stars’ progress throughout the year, slowly but steadily understanding the historical importance of his achievements – what a wonderful, thrilling and emotional six months it were to witness. Horse racing at its best! 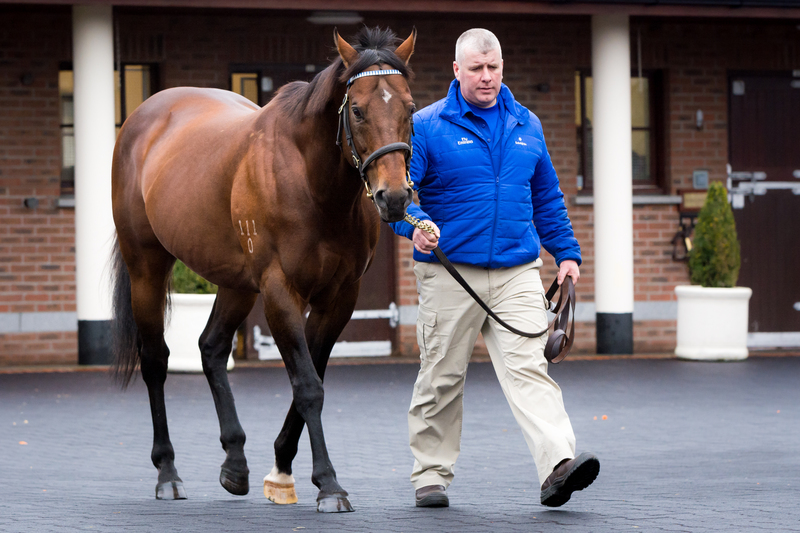 Sea The Stars came too early – or I came too late to party – I never saw him in flesh. It was only a couple of years later that I should eventually end up Ireland, though. I missed him by two years. Ever since my love for the sport has grown into a passion that saw me creating this website and going racing near and far – from the Curragh in Kildare to Hanshin in Japan. Still, there was the elusive dream: ever since this magical autumn day in 2009 all I wanted was to see the almighty Sea The Stars with my own eyes. An elusive dream no longer. Thanks to the Irish Thoroughbred Trail! 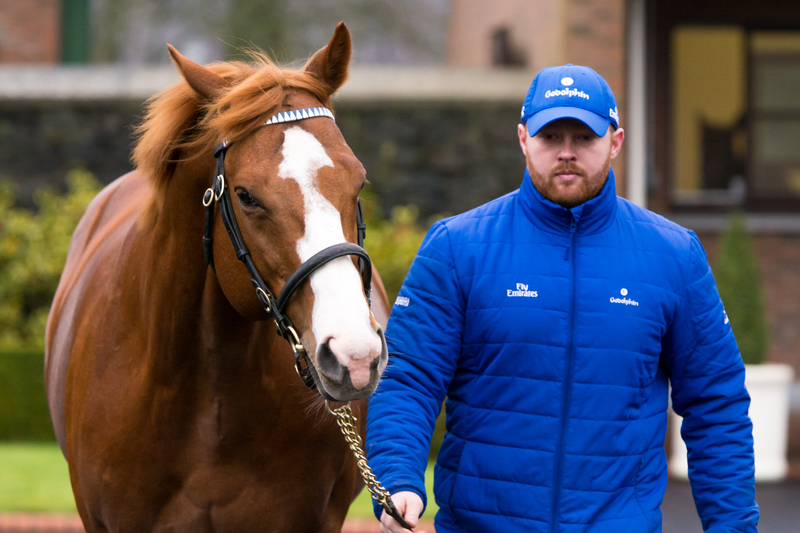 An initiative by the Irish Thoroughbred Marketing (ITM), running for a fourth consecutive year now – though in earlier years I never made it for various reasons such as work- & travel commitments as well as a simple lack of awareness. 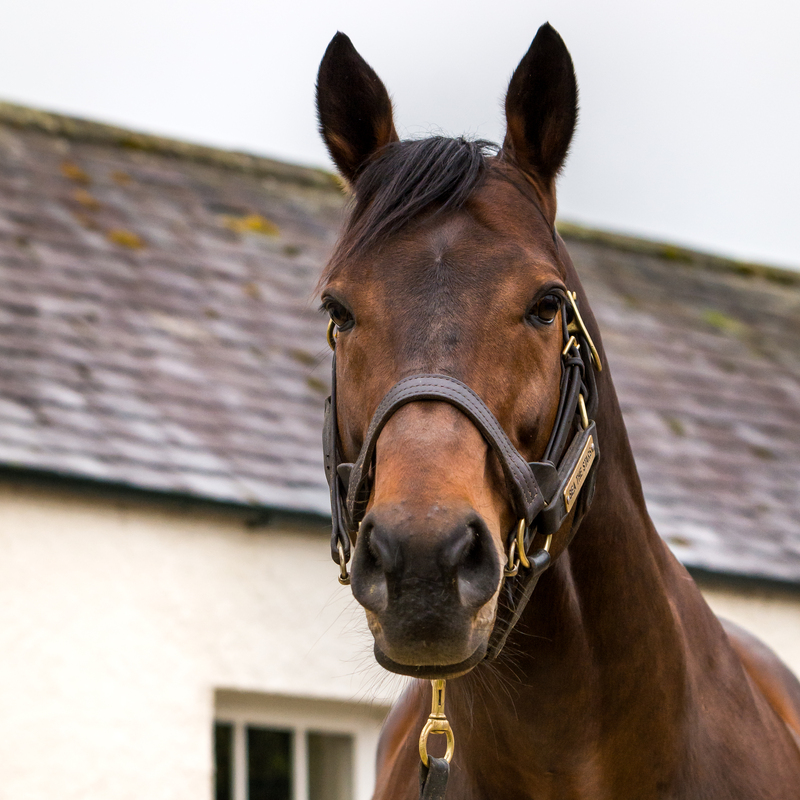 This time ITM made a huge effort to put the word out and make sure the message gets through to everyone: breeders and racing fans alike, come and join us for the Irish Thoroughbred Trail; 29 stud farms have taken part on Friday- and Saturday 12th/13th January 2018. 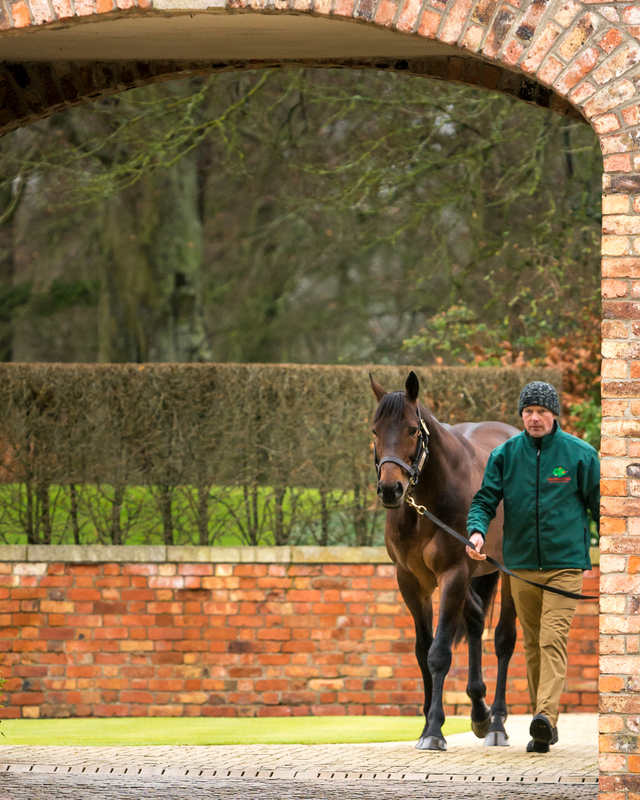 Such esteemed names as the famous Coolmore Stud, the Aga Khan’s Gilltown Stud, Shadwell’s Derrinstown Stud or Darley’s Kildangan Stud all opened their doors for visitors. Safe to say I didn’t let the chance slip this time. A moment of magic it was, indeed. Eye to eye with the champion. He musters you, a straight look into your eyes; I pick up the camera, holding the big lens right in front of his nose…. Ears pricked, relaxed, standing proud and tall surrounded by an aura of pure confidence. 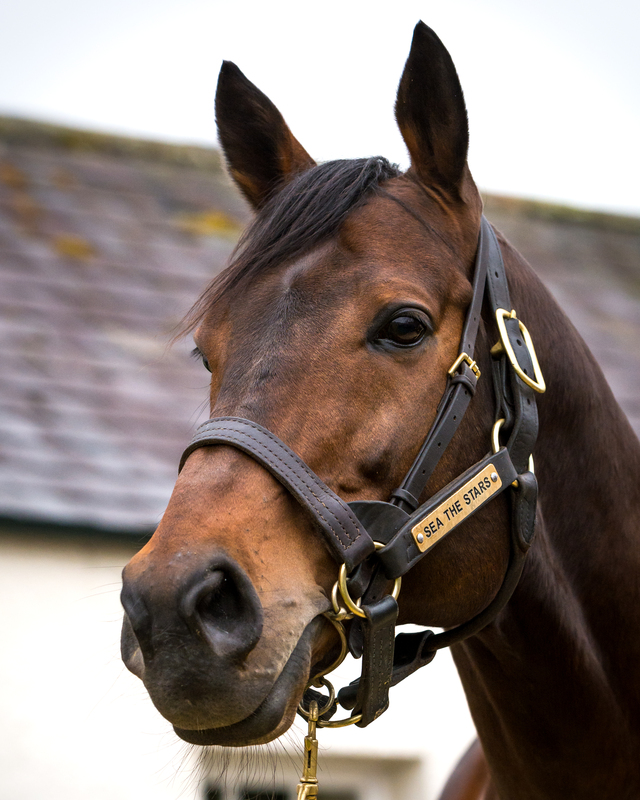 Sea The Stars knows. He’s got the awareness. He’s the king here and everywhere. The now 12-year-old still looks the part. The most beautiful thoroughbred one can imagine. But it’s his aura that stands out for me – there’s something in the firm, clear, obvious, assured, yet gracious and elegant way Sea The Stars presents himself. I haven’t seen nor felt anything like it in the presence of any other horse. 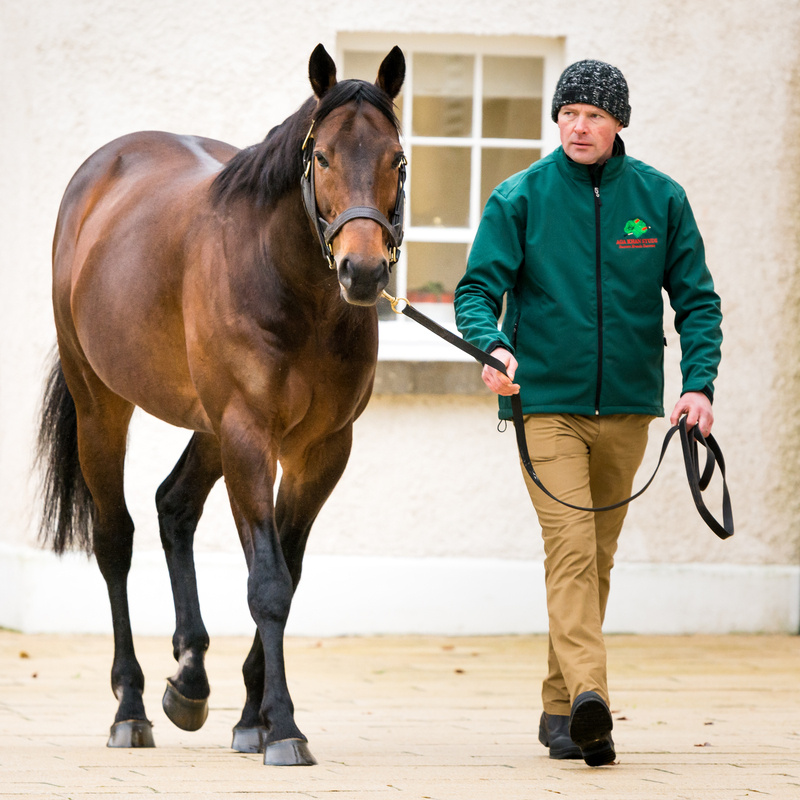 Gilltown Stud is doing a wonderful job. Friendly staff greeting you at every corner; handing out Sea The Stars gift bags for ever visitor; heated shelter and quality refreshments made available. Top class! 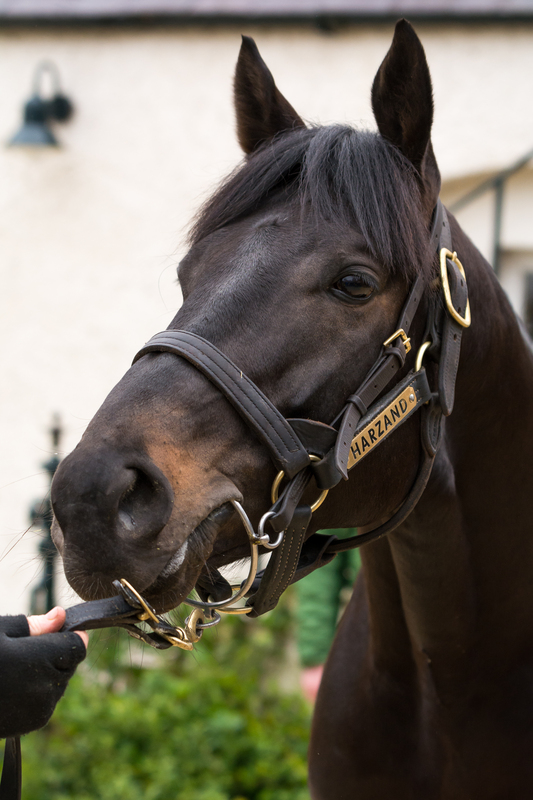 Half an hour further down the road is Darley’s Kildangan Stud. The second and final stop on my personal Stallion Trail. The weather turned grim by now. Wind and rain whipping in people’s faces. At the stud they do their upmost to make it the most enjoyable experience, regardless. I can only applaud the studs and their staff for putting in such tremendous effort. 13 stallions parade in front of eager eyes; young and old is here, braving the weather. 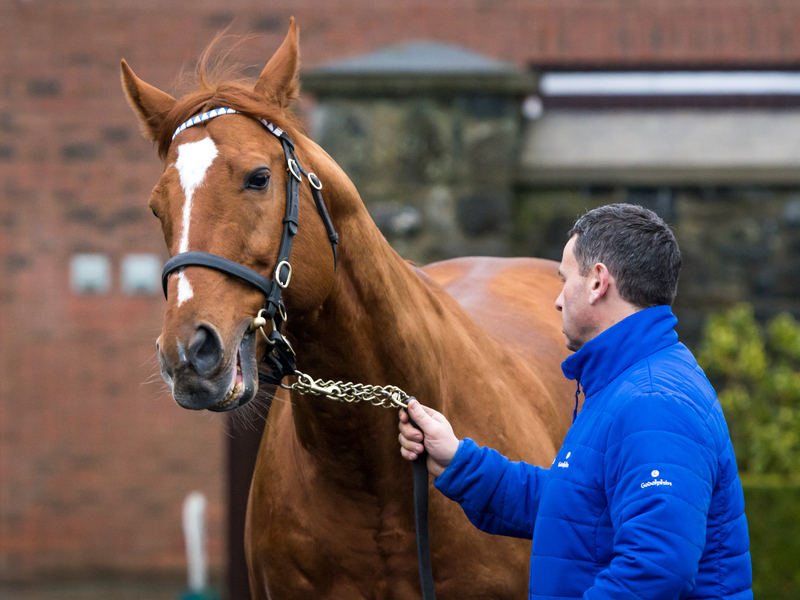 Exceed And Excel still has the appearance of a racehorse. Beautifully defined muscles – you can see why he was such a top-class sprinter back in the day. Ribchester has settled well in his new home it appears. He’s one of the more relaxed stallions. Takes it in his stride. The imposing Dawn Approach doesn’t cease to impress whenever I see him. Teofilo, Belardo…. 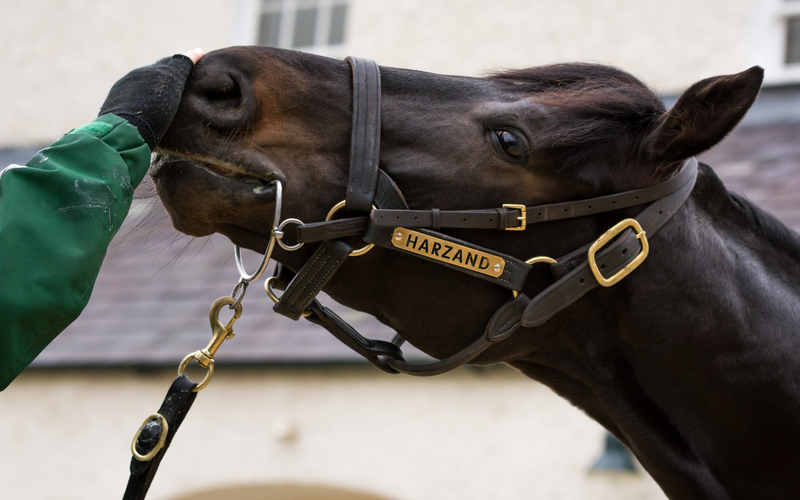 it’s an esteemed list of superb racehorses enjoying their second career here at Kildangan Stud. 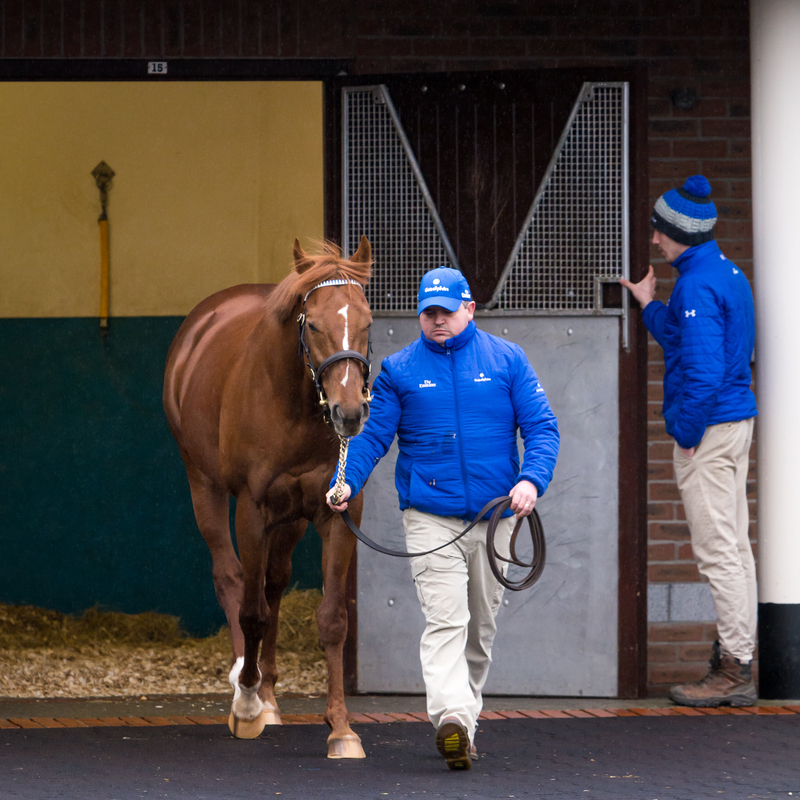 To open the doors, not only for breeders but also for racing fans, has to be applauded. 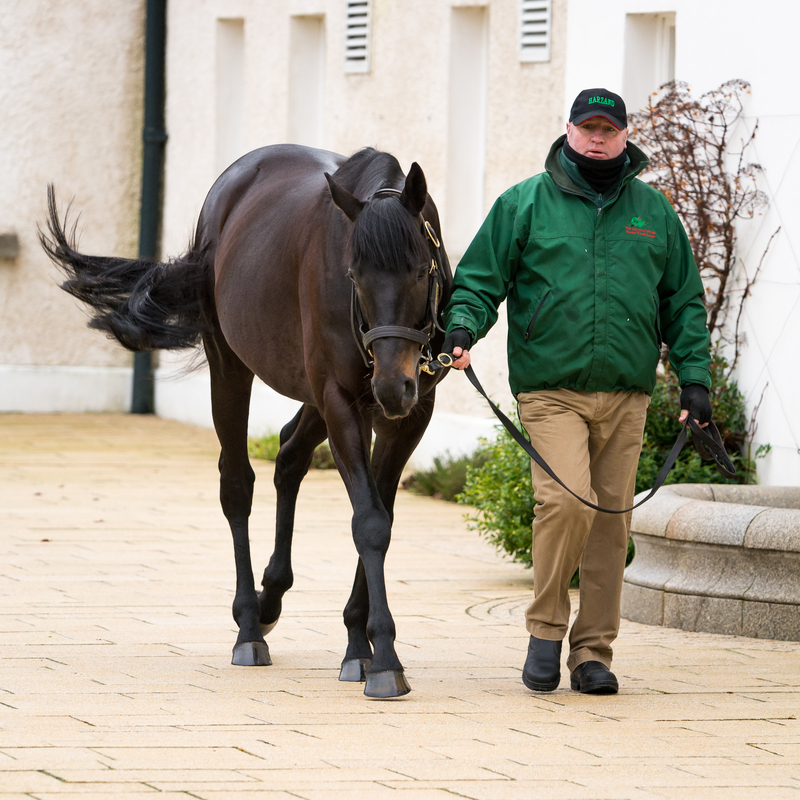 The studs play the vital part here, without their welcoming openness the Irish Stallion Trail would not be a thing. At the same time only this welcoming openness – and I would add transparency which drives education on how the sport functions – has to be the way forward for horse racing. Irish racing in the past has not only been accused but in fact has neglected the interest of the common racing fan. The most recent example was to continue having the major Group 1 meetings, like the Derby, at the Curragh during the time of its rebuild. From my own experience, Irish Racing also tends to – or did so at least in the past years for as long as am going racing here (since 2011) – to cater for the casual once-a-year-event-goer rather than the racing fan who’s also there when they run a low-grade card a on a dreary January Sunday. Thankfully this is changing. And it has to – if the sports wants more than pure survival but also wants to thrive. It is all well intended to try attract new groups of people for the sport. However, don’t forget your existing fanbase. 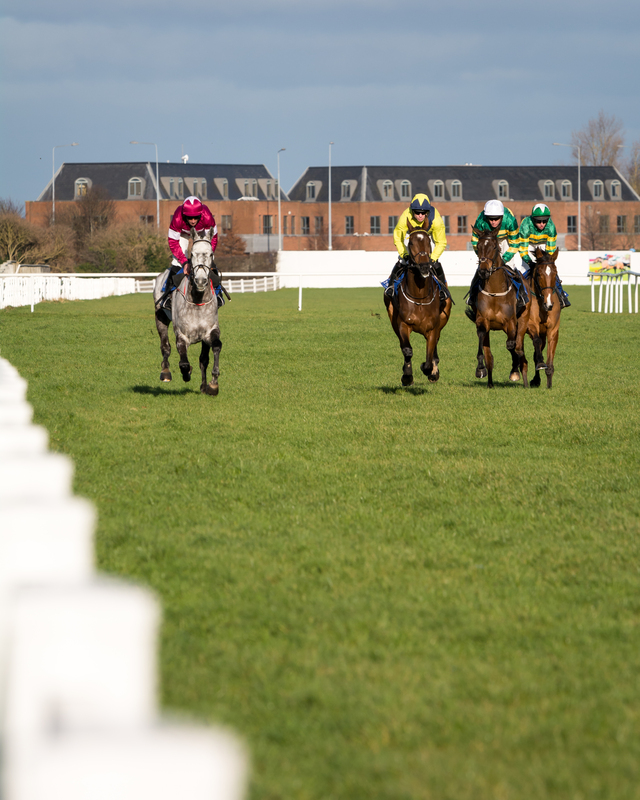 Initiatives like the Irish Thoroughbred Trail (or the equivalent Champion Trail during Irish Champions Weekend) provide a superb opportunity to do exactly that – exiting new potential race goers and at the same time offering value for existing racing fans alike. Because think this way: how are you supposed to spark the interest of people who don’t know yet that they might develop an interest for the sport, if you fail to keep the fans you already have interested and excited? Racing needs to embrace its fanbase. It’s their enthusiasm that fills racetracks with life on those low-key days that aren’t part of Festivals. And they do so because racing provides a unique experience that makes it so inherently different from most other sports. Where else can you get so close to the stars, equine and human alike? Where else can fans become an actual part of the sport? Racing it is! You can’t have a chat with Jose Mourinho or pat Lionel Messi without being dragged away by some heavy security guard. 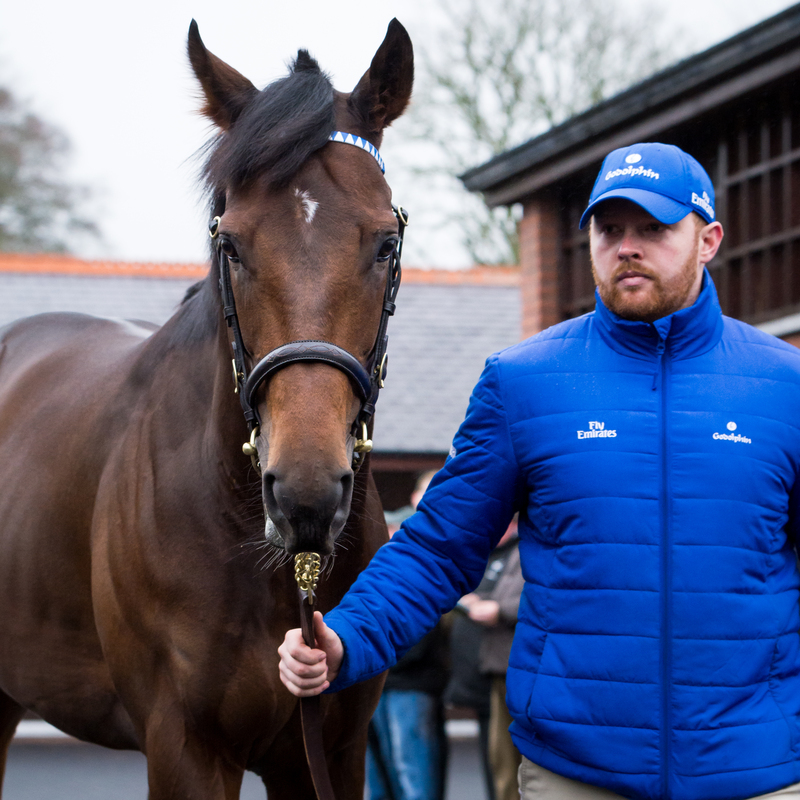 But you might be able to give Sea The Stars a pat on the head when you visit him at stud – or, as one of personal favourites – discussing with Tom Queally at Wolverhampton the Champion Stakes a day before the biggest ride of his career on Frankel. That is what I love about horse racing. You are so close to the game – if you want. For some it is a mere betting medium with two handful of nags running around in circles. But for many others it’s so much more; passion – a sport that sets raw emotion free in us. 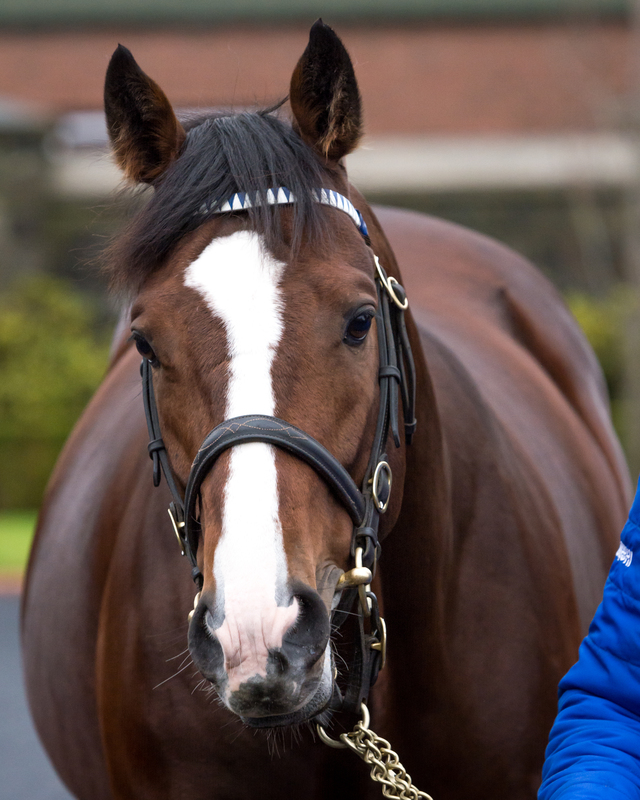 So, it was certainly great to see ITM making such a big effort with the Stallion Trail this year. There was a real buzz, certainly on social media – racing fans got the chance to meet their heroes but it as also a superb opportunity to engage new people and excite curiosity. This is the way to go. We need more of these initiatives that show horse racing in a different light apart from gambling and drunk ladies in short skirts. Thank you ITM for making this possible. For giving me the chance to meet my all-time equine hero. I had some tears of joy in my eyes. Beautiful day for racing it was today. Went down to my local track here in Naas to watch a couple of races. 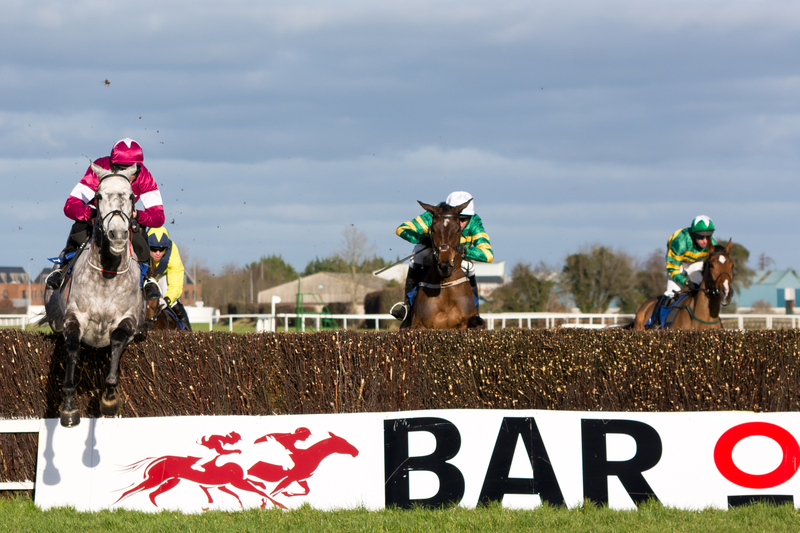 The 2m Novice Chase and the Grade 1 Novice Hurdle were of obvious interest. Next Destination was the class act on the day, winning the Lawlor’s Of Naas Novice Hurdle in fine style. Jumped well and was well on top in the closing stages. Visually probably not as impressive as many would have hoped, but lest we forget it was heavy ground and a Grade 1, after all. Next stop is Leopardstown and the Dublin Racing Festival – if all goes well, said Willie Mullins afterwards. Willie Mullins unveiled French recruit Demi Sang in the Novice Hurdle half an hour earlier. The five year old looks a nice prospect, staying on nicely to deny three years older Avenir D’Une Vie. He needs further, in my mind. The Arkle route is the one Mullins wants to pursue, though. Not sure if that is what this lad wants, given he already won over 2m 3f as a hurdler in France. No Samcro in the race makes the task on hand for Next Destination somewhat easier. One would think so, at least. A brilliant Grade 2 Navan Novice Hurdle winner, comes here with plenty of positive experience. He created a big impression on a number of occasions now. A fine bumper horse last season, he proves even better over hurdles. 2/2 now, overcoming a slight fright at at the third last but came back on the bridle and putting the race to bet in impressive style. He’s the clear favourite on anything we know. What we don’t know yet, how much upside does the Joseph O’Brien trained Speak Easy has to offer? 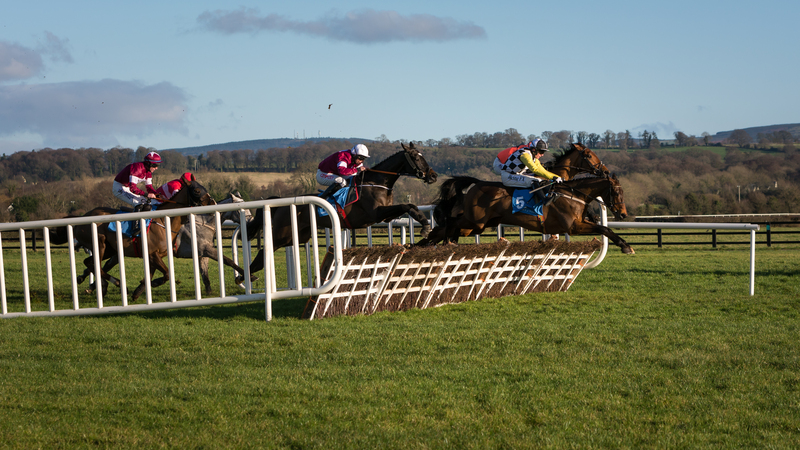 He landed a maiden hurdle when debuting under rules at Navan last month. Clearly green and not quite sure what to do, he made Mark Walsh work a bit throughout and missed a couple of jumps. 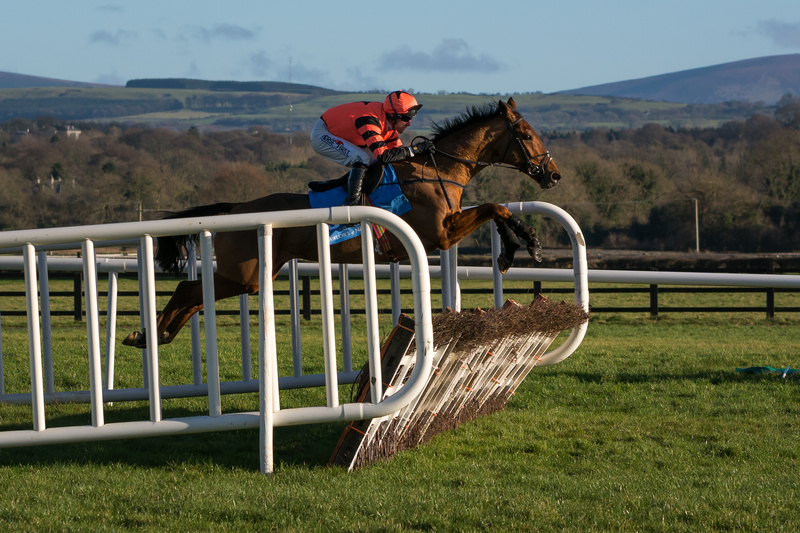 However the way he made progress and motored home without ever being really touched, in a maiden hurdle that looks like solid form, is something to take note of. Connections decided against the Tolworth and rather opted to come to Naas. They will hope he has learned plenty the other day. He’ll have to be a fast learner if he wants to trouble the favourite. However in his favour is the step up in trip. 2m 4f should suit much better than 2m. Given how good Speak Easy already looked when showing plenty signs of inexperience, one can only imagine how much more he can bring to the table if understanding more of what his job is. Interesting side fact: Speak Easy has achieved the highest time speed rating in the field so far. Not always an indicator for success, nonetheless the fact Next Destination hasn’t run better than 109 yet, is another small piece in the puzzle that let me come to the conclusion that there is potentially less between these two than the market suggests. It is hard to see anyone else from the field having a realistic say in the outcome of the race. So at 11/2 it is impossible for me to not back Speak Easy. Maybe Next Destionation is the better horse and can use his experience to full extend – however on pure price reasons, I feel Speak Easy has a better than 16% chance to win. A few of my images from the Birdcatcher Day at Naas, featuring the similarly named Premier Handicap plus two Listed contests with the Garnet & Bluebell Stakes. Been a wet day. Desperate conditions made it hard work for horses and jockeys. Still some good performances. Most notably the ones of team Lyons/Keane. Trainer and jockey teamed up for a hat-trick on the card. Last week we enjoyed a spectacular English Grand National at Aintree. 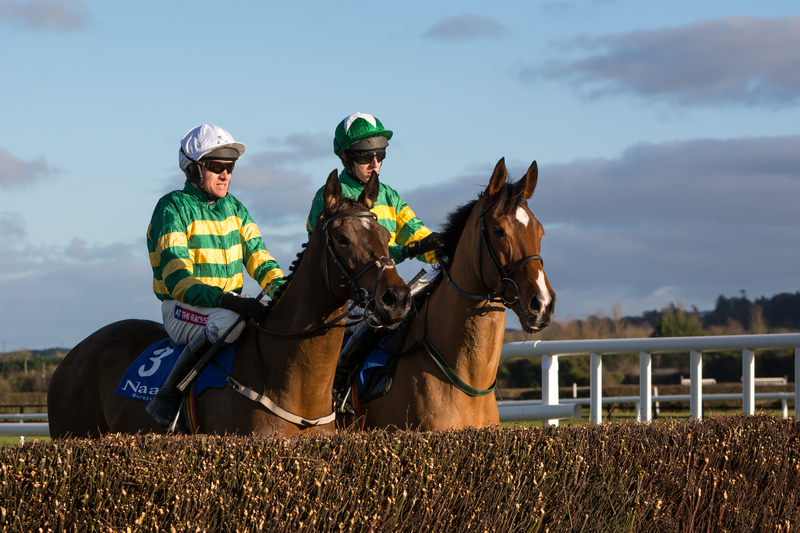 This Easter Monday now all eyes will be on the Irish equivalent which is no less a cracking race to witness! One of the biggest differences is that unlike the Aintree version, the Irish Grand National has been won by a female jockey – it’s the very same one who came closest to win the English National on Seabass in 2012 when finishing third. Seabass has sadly passed away last week – may he rest in piece – but Katie Walsh has a ride here – however not on her 2015 winner Thunder And Roses but on the six year old Baie Des Iles. Can she do it again? Well, the odds are against here an it looks a difficult task for this young horse, indeed. The champs of the last two years will find life difficult too. Thunder And Roses for one hasn’t got his head in front since landing the race in 2015 (and winning me a huge pot!). He was pulled up at Aintree, so was Rogue Angel, who got up in a thriller twelve months ago. 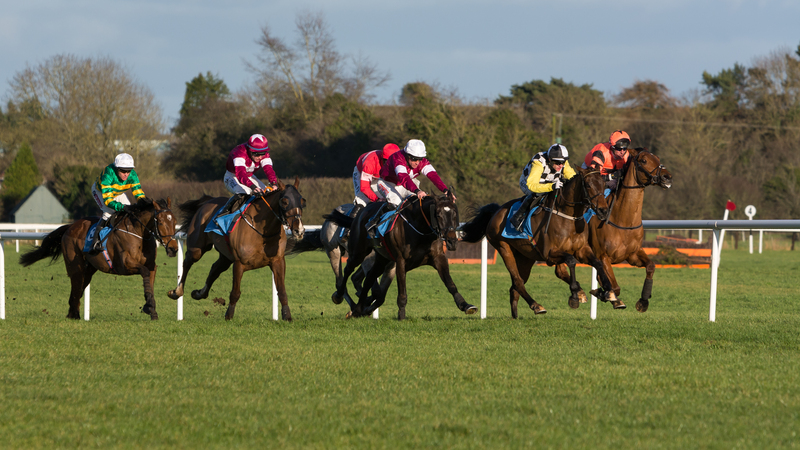 No worries for Gigginstown, though, as the powerful operation has another twelve runners in the race to land them the big prize for a third consecutive year! That says none of them is particularly well fancied, with Cheltenham winner Tiger Roll the best of the lot seemingly. However the seven year old has to carry a penalty and is a sketchy jumper who may find this test probably beyond him. Another seven year old owns the position of red hot favourite. Our Duke, a fairly short 6/1 chance with most firms, comes here with a huge reputation on his handicap debut, after winning two of his three career starts over fences, including a Grade 1 in Novice company. The only time he did not win, he finished a very gallant runner-up behind Disko at the Christmas Festival – form that looks incredibly strong. Now, though, he has to bring his credentials to this much more demanding test, against seasoned, experienced animals and in a field as big as he’s ever encountered. Our Duke is a talented horse, but to back him at this short price with all these things in mind? I’d rather not. The two that I like allot: current second favourite Fletchers Flyer and Gorden Elliott’s Noble Endevour. Harry Fry hasn’t made a secret of the fact that this race has been the long term plan for Fletchers Flyer ever since he won a big Handicap Chase at the Punchestown Festival last year. He obviously handles this type of fast ground, goes well on a right handed track that is to some extend similar to Fairyhouse and he jumps well in a big field. This still quite lightly raced chaser has seen a racecourse only twice this season. His comeback run is one to put a line through, however a third place in the Grade 2 Reynoldstown Novices’ Chase at Ascot in February is a fine piece of form. He should come here in tip top shape, certainly fresher than most and could easily find a bit of improvement in these conditions which means his mark of 145 could undervalue his real talent. Noble Endevour is a bit more experienced and very much race hardened. He looked superb when landing the Paddy Power Chase at Leopardstown over Christmas and he followed up with another huge performance at the Cheltenham Festival when third behind Un Temps Pour Tout in the Ultima Handicap Chase. You always wonder how much energy that must have cost but he had only four starts this season so may well have still something left in the tank. Second highest weight in the race isn’t an easy feast but he should love these conditions as he clearly excels in big fields, his jumping is big and bold, he travelles strongly and the only slight question mark, other than fitness, is maybe the fast ground. He has shown to handle it in the past, though his very best form comes on slow ground. Given that he usually travelles so strongly through his races I give him the benefit of the doubt. Of course with three year old’s early in the season you can’t be quite sure how the race pans out pace wise, also some go with first headgear to post, suggesting there might be change of tactics for some. However if you only read through the racing comments for most horses in this field you’ll find only very few did ever race close the pace, let alone lead a field. The majority is held up in rear, dwelt, was slowly away and therefore naturally behind, or at most tracking the race from a midfield position. I feel this might give a horse a chance that forces the matter. Obvious candidate is top weight Chickenfortea, who has decent form in the book too. However of a revised mark he looks vulnerable to an improver. This one could be Kevin Ryan’s Backinanger. This las has been up with the pace in his last two starts on the All-Weather where he ran with credit. He was incredibly keen when last seen at Newcastle and couldn’t sustain his effort, though the third place looks good form taking all of that into consideration, even more so as the winner backed up the form subsequently. Backinanger is still winless, but he makes his turf handicap debut here with fast conditions sure to suit. Interestingly connections opted for fitting cheek-pieces for the first time, something that could help him to focus, be sharp in the finish and be easier to handle in general. He also hails from a decent family, he also was a late foal which explains why he looked still pretty raw in most of his races up to date. It is therefore fair to assume that he could still improve a bit. A low mark of 57 gives him a good chance here.